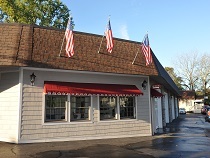 Warwick, RI, October 18, 2011 – Rick’s Auto Body has reached a milestone this year. 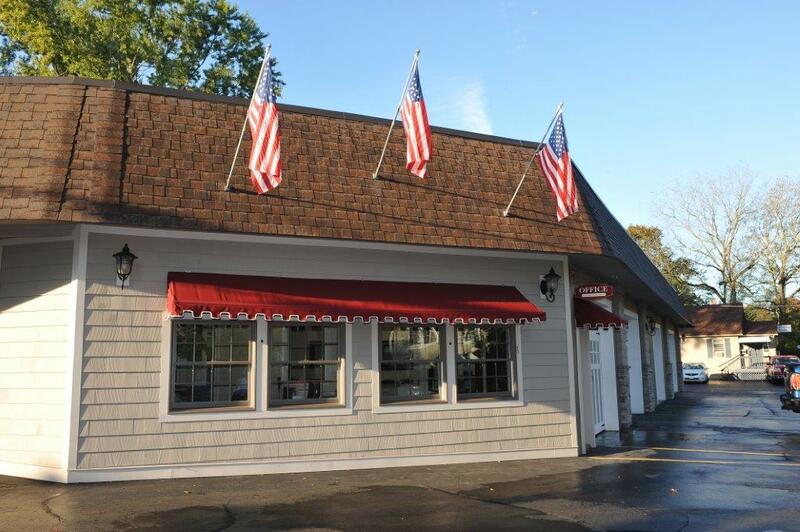 In business since 1961, Rick’s Auto Body is owned by the Piscione family and located in historic Pawtuxet Village. An innovator in painting techniques and environmental initiatives, Rick’s attributes its success to the community support it has received over the years. “We believe we have a responsibility to be a good neighbor, and are proud to say we have many repeat customers from the Village because of our sensitivity to the historic surroundings,” says Ronald J Piscione, President of Rick’s Auto Body. Now a 3rd generation owned business, Rick’s Auto Body was founded in 1961 by Americo “Rick” Piscione. He worked as the lead painter for Providence Buick, but yearned to have a business of his own. After years of success, in 1965 he moved the business to its current location on the corner of Post Road and Fair St. Rick’s expertise was legendary as was his willingness to share his knowledge with others. He was quick to embrace new painting techniques and always welcomed innovation. In the past, they had been selected by paint manufacturers to correct paint defects from vehicle assembly plants on new cars. Rick’s was also selected as the exclusive auto body repairer at port of entry by Nissan Motors of New England. Before it was fashionable, Rick’s Auto Body embraced environmental practices. As early as the 1980’s they were recycling wastes including fluids, tires, batteries, metal parts and more. “Rick’s Auto Body sits at the entrance to Pawtuxet Village, and recognized a need to maintain the charm and beauty of the area. By recycling these wastes, we can preserve the beauty of the Village,” continues Mr. Piscione. Today Rick’s Auto Body is a leader among Southern New England collision repair businesses. They use waterborne paint, enclosed downdraft spray booths, filtration collection systems, and employ ASE and I-CAR technicians, while adhering to S/P2 pollution recovery and environmental safety compliance. Rick’s Auto Body is an auto collision repair business located in historic Pawtuxet Village. For three generations, Rick’s Auto Body has served the community. Rick’s Auto Body prides itself in being an eco-friendly auto body business using waterborne paints which saves the environment and safeguards the technicians working on your vehicle. It has earned a reputation for thorough, timely, and quality service. Widely recognized throughout Southern New England for its leadership position on state-of-the-art techniques, Rick’s Auto Body offers a wide range of auto collision repairs from auto body repair, mechanical repair, advanced diagnostics, frame straightening and color matching auto paint repairs.